Having a thinking of expenses and budget for certain things can result to confusion and headache especially when money matters. The purpose of budgeting makes people control on the flow of their money at the same time they also save more. 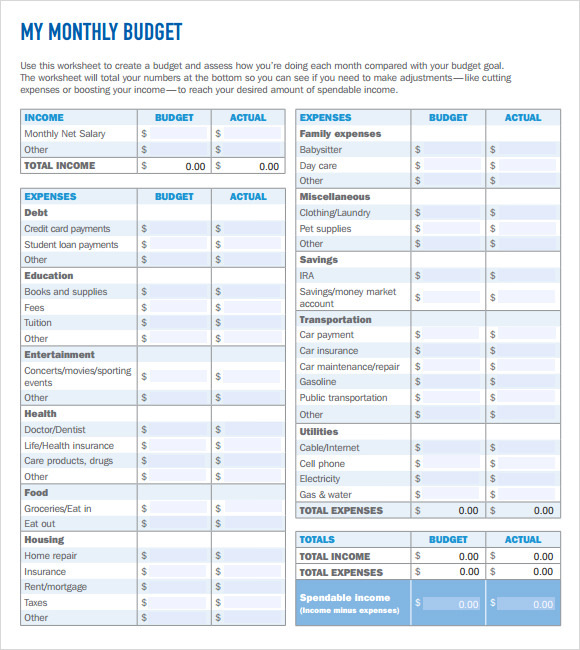 This Budget Template is one of the efficient and useful tools for people to handle money with care and prioritization. 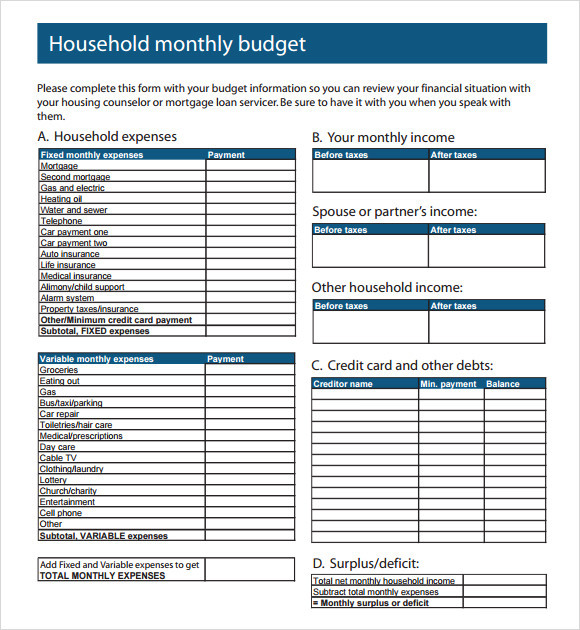 With the help of budget template, any individual can plan where to put their money and can easily track their savings as well. 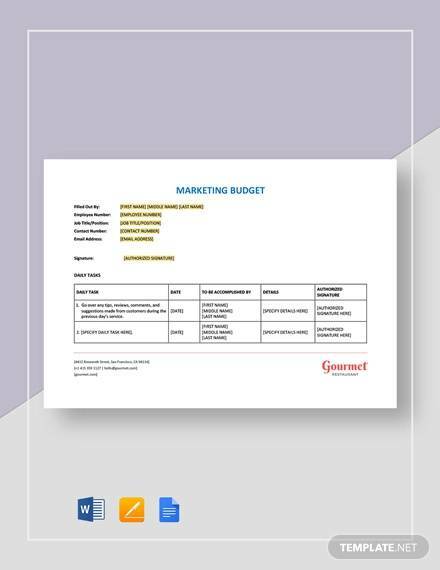 People can have their basis of creating their own budget plan using the examples shown in the Sample Budget Template, this will also allow the users to download the samples in the format compatible to their software and free of cost. Once you have your own money budget template, this will make your workload lessen and your money will be secured because you yourself are controlling the flow of it. If you are worried about the huge outflow of your money for running your family then budgeting can help you in an outstanding way. 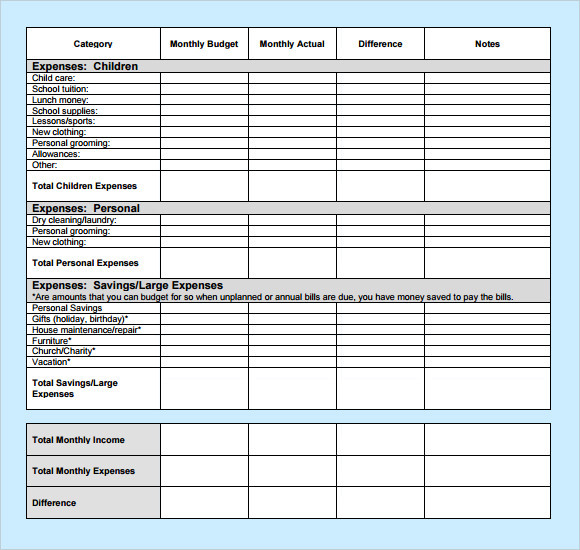 With this template, you can take into account hundreds of monthly expenses that you need to take care of. 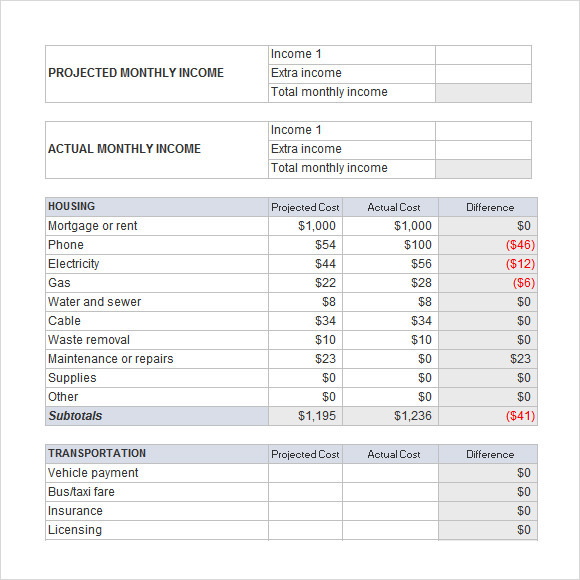 If you want to chalk out your income and expenditure in one place to get a clear picture of the situation then this template can help you extremely. All the possible heads of expenses are given in this template in a proper manner to give you an advantage. If you have monthly budget statement, then things can become much clearer to understand like you can easily know in which heads you need to put your money more than others. This template can be used for this purpose. There are some kinds of expenses that you have to bear every month and there are some which you can curb in order to facilitate others. This template can give you a handy option to get a clear picture of the same. Why Do You Need Monthly Budget Templates? Budgeting is the best way with which you can get a clear picture of your expenses and earnings. This is not only important to run a business smoothly; budgeting can also help you to run your family properly. 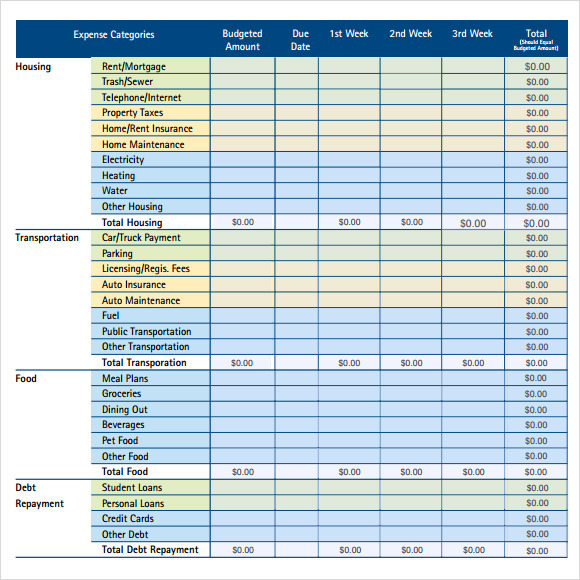 When it comes to tracking the expenses and allocating your income in all the heads of expenses properly, budgeting can be the best way. It can also tell you that whether you need more earning to meet the expenses in a proper manner or not. 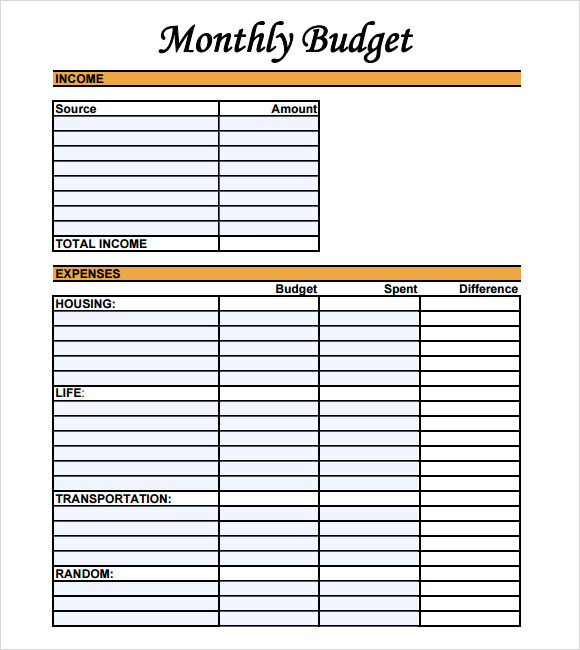 When Do You Need Monthly Budget Templates? 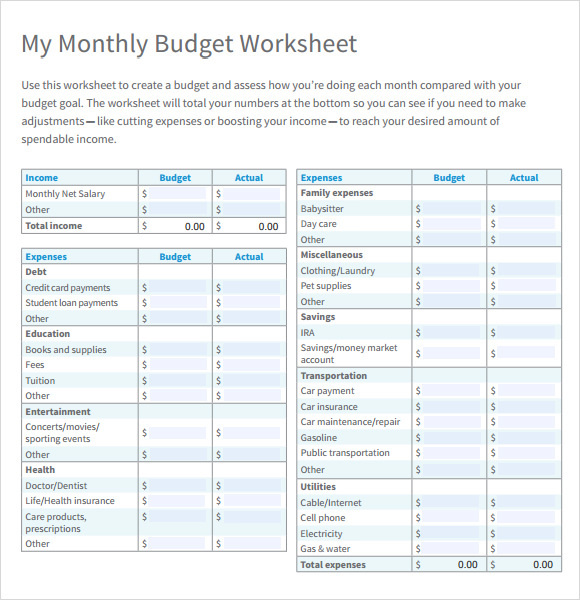 What Are the Benefits of Monthly Budget Templates? Budget is regarded as one of the simplest accounting systems that can be maintained by anyone in order to keep a track of the incomes and expenses of a family or a business. There are dozens of benefits one can get while using a budget template. 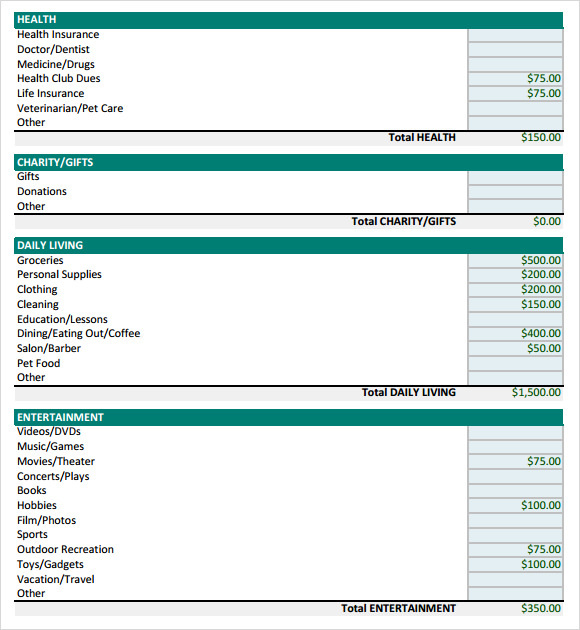 These templates are designed and come with all the expenses that a family possibly need to do. Thus using them you can easily track all the expenses. 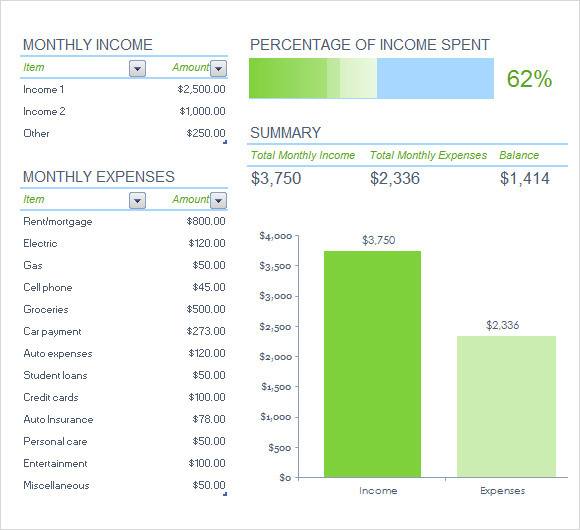 Besides that, you can get a clear and transparent picture of your income and expenditure statement. You don’t have to waste your productive time in remembering the expenses that you need to do every month. The budget can make you aware of the situation and give you clear picture. With it, you can easily counter the situation and resolve the problems too.